“Louisiana.” From Arrowsmith & Lewis New and Elegant General Atlas, 1804. Library of Congress Geography and Map Division. 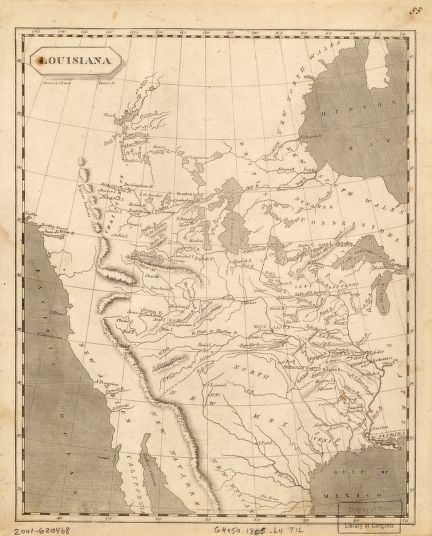 The Washington Post put Louisiana in its history timeline this week with its Friday, March 26th article stating, “In 1804, the Louisiana Purchase was divided into the Territory of Orleans and the District of Louisiana.” Library Of Congress. There is a popular Facebook group that is promoting Cajun’s and Louisiana Creole’s in the 2010 Census. Over 3,384 fans thus far…. This entry was posted in Uncategorized and tagged Census, Facebook, Louisiana History. Bookmark the permalink.